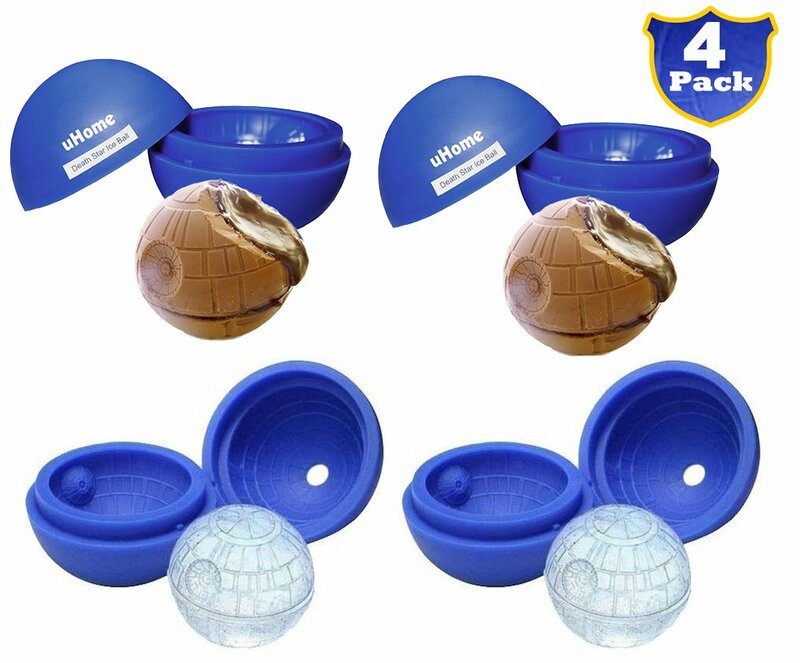 Home › Home and Kitchen › Ice Ball Maker Mold - Blue Silicone Ice Cube Tray For Star Wars Lovers - 5.5X..
Ice Ball Maker Mold - Blue Silicone Ice Cube Tray For Star Wars Lovers - 5.5X..
Make easy ice cream balls or cake for desserts your family and guests will love. Flexible and easy removal mold, perfect gift for any occasion. The theme is from the movie Death Star, this ice ball maker is with the fearedbattle station on the tray. This Superior BPA Free food grade silicone iceball maker makes a large ball of ice decorated in the shape of the first DeathStar based on its appearance in Star Wars: A New Hope. Perfect for making atreat for your family or spicing up a Star Wars themed party, this sturdy traylets you capture a variety of foods or drinks in the familiar shape. Createyour own Ice, Chocolate, in the shape of the Death Star!